Patrick Donald Lynn died Thursday, April 17, 2014 at Good Samaritan Village in Sioux Falls at the age of 92. He was born on March 17, 1922 to Henry and Mary Lynn in Sioux Falls, South Dakota. After graduating from Sioux Falls Washington High School in 1940, he attended classes at Augustana College. He served as a naval aviator for 3 years, during WWII. Following the war, he attended classes at South Dakota State University and graduated from the school of pharmacy in 1951. During that time, Pat married Ruth Petersen in 1948. They lived a happy life together filled with many memories. Starting in 1951, Pat worked for his father, H.D. Lynn, at his fatherâ€™s drugstore for 4 years. 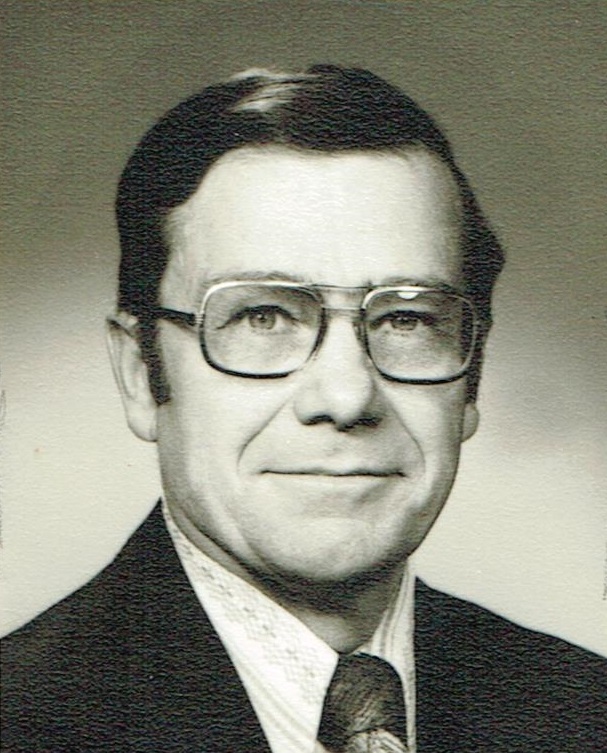 He then worked for Lewis Drug as a store manager and pharmacist in Huron and various locations in Sioux Falls from 1955 to 1988. Afterwards, he worked for Tel-Drug mail order pharmacy for 13 years, retiring in 2001. He was an active member in the Chamber of Commerce and Toastmasters. He presided as president of the Rotary Club in both Huron and Sioux Falls; and served on the board of directors and as treasurer of the Sioux Falls Girls Club. He also presided as president and maintained an active membership in the Horseless Carriage Club, an antique car group. Patrick is survived by his son, Michael, Sioux Falls. His parents; his wife, Ruth; a brother, Robert Lynn; and, a sister, Dorothy Lynn Sullivan, precede him in death. Both family and friends will miss Patrick. Visitation will be Sunday, 4-8 PM at Barnett-Lewis Funeral Home with family present from 6-8 PM. Funeral Service will be Monday, 10 AM at Good Samaritan Village with burial to follow at Woodlawn Cemetery.